Keeping your business premises spotless is essential, especially if you are open to the public or have visiting clients. A well-cared for exterior will impress your clients and give a positive first impression, which can lead to increased sales & business growth. Reflections specialise in making sure your buildings always give the best first impressions possible, all year round. Our commercial-grade pressure washing equipment can shift even the toughest grime and reveal the pristine surface beneath, completely transforming the whole area. We can restore everything from the tarmac in your car-park to the brick paving on your footpaths and entrance area, and everything in between too! Pressure washing isn’t just about appearance though – dirty footpaths covered in moss and algae can be very slippery when wet and a hazard to your staff and visitors. 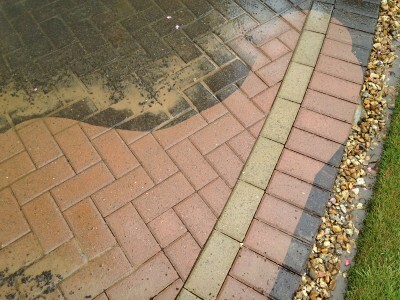 Make sure your property is safe and book Reflections to clean today! Ask about our scheduled ‘6 monthly’ cleaning packages, which make sure your property always looks cared for. Call us today on 07855 462204 or 01326 565334 to find out more about our range of exterior cleaning services for commercial clients across the South-West. Our commercial pressure washing services are available all across the South West. Please don’t hesitate to get in touch!